To say that politics in 2018 was tumultuous would be an understatement. We’re just a month into 2019, and the new year has already brought us political disasters—including an ongoing fight over a border wall that resulted in the longest American government shutdown in history. But as a young Black woman, I’m very aware of the fact that, for me, the fight for equality has never ended. Discrimination and rescinded rights aren’t newly discovered problems caused by Trump’s presidency. These unjust elements define American history before Trump, and they will persist even after he leaves. I come from a legacy of Black people that has never been able to afford the privilege of feeling tired and giving up when it comes to politics. Every day is—and always has been—a fight for equality. It can feel jarring to shift to a White House administration intent on revoking all kinds of civil rights, from abortion access to Muslim Americans’ ability to freely and safely practice their religion—especially since this current presidency was preceded by former President Barack Obama’s progressive administration. But we would be remiss to conclude that the current political atmosphere is the worst situation America has ever been in. After all, in 1861, America underwent a civil war stemming from division between the North and the South, fueled by rising tensions over whether or not to eliminate the enslavement of Black people—so I’d say that’s when division was at its worst in America. Not to mention that enslaved black people living in America were in a constant crisis for over 400 years. Oppression, discrimination, and a lack of civil rights are not new for many Americans, so Black people have plenty of experience when it comes to fighting systems that seek to limit our freedom—from slave rebellions overthrowing slave owners, to communities advocating for the Black men, women, and children brutalized and murdered by police officers today. In more recent years, former American presidents also failed to effectively address the needs of Black people. In 2005, former president George W. Bush failed to quickly provide aid to those impacted by Hurricane Katrina, an event that disproportionately affected African Americans, who account for 59% of New Orleans’ population. Similarly, former president Bill Clinton enacted a welfare reform that limited single mothers’ access to social aid. This policy was highly influenced by a similar one that former president Ronald Reagan enacted. Reagan’s policy fueled the myth of the Welfare Queen, a stereotype arguing that Black people are lazy, don’t like to work, and take advantage of the welfare system. This stereotype persists, despite the fact that statistics show white people are actually the demographic most reliant on American welfare programs. For Black people, participating in activism and endlessly advocating for what is right is not a lifestyle choice—it’s a requirement for survival in today’s America. Even some Black Americans who would not describe themselves as being overtly political are often compelled to participate in activism when they realize that no one else is advocating for policies that directly affect their communities and families. The late Erica Garner is an example of this. 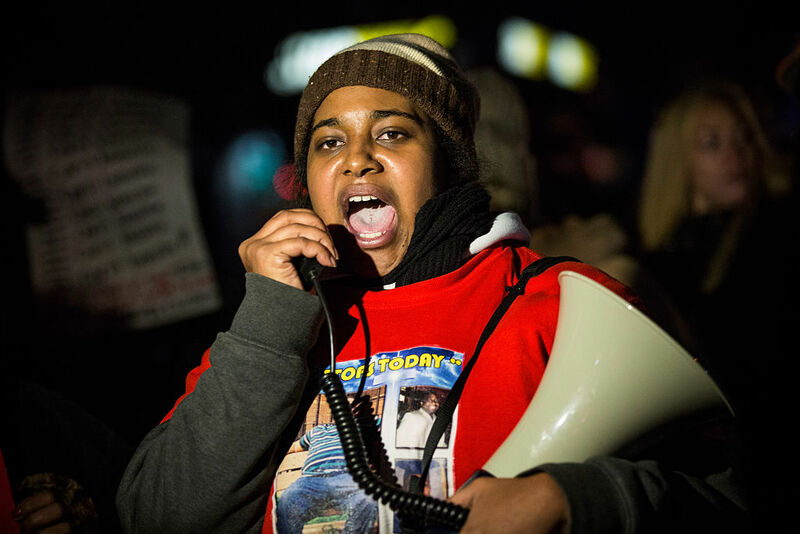 After her father Eric Garner was put into a chokehold and killed by an NYPD officer for allegedly selling loose, untaxed cigarettes, she joined the Black Lives Matter movement and organized marches and die-ins twice a week at the place of her father’s death. Stories like Erica’s are why we can’t give up. America claims to be built on the foundation of all people being created equal, but fully living up to the fundamentals of this principle is something that America has failed to achieve. If you walk along Independence Avenue in Washington D.C., you can see the Martin Luther King Jr. Memorial statue. 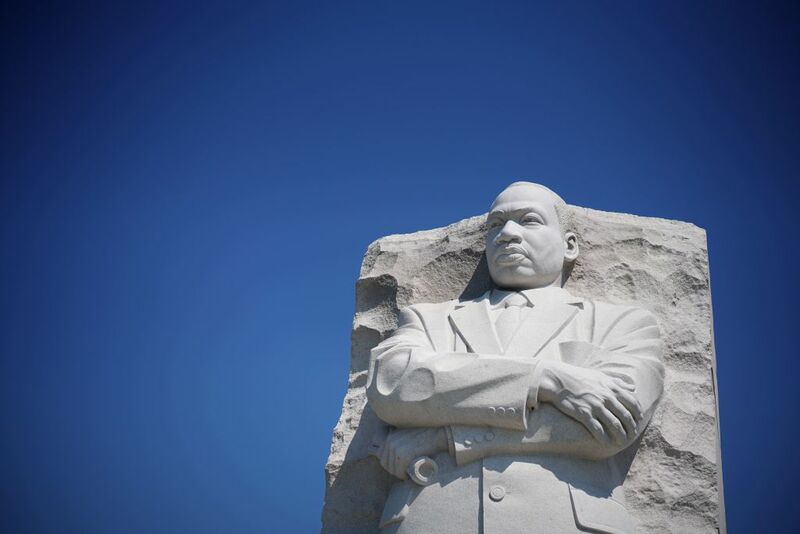 MLK’s eyes look out into the distance at the Thomas Jefferson Memorial across the Tidal Basin, which is significant because Founding Father Thomas Jefferson penned the Declaration of Independence declaring all people to be equal—yet he owned slaves. 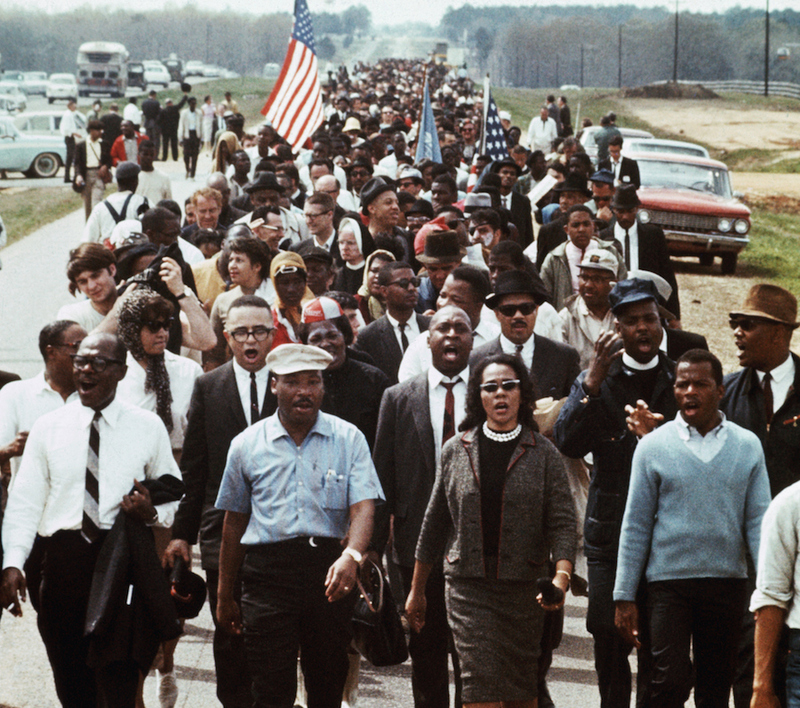 Martin Luther King Jr. died before he got to realize his famous dream, and Black people and other marginalized groups are still fighting for it today. Don’t underestimate the power of calling your senators and congressional offices in your state or district. As this former senate staffer explains, positive and negative feedback is logged, and when bills are being considered, senators and representatives want to know what their constituents think. You can find your state senator here and the U.S. Representative for your district here. 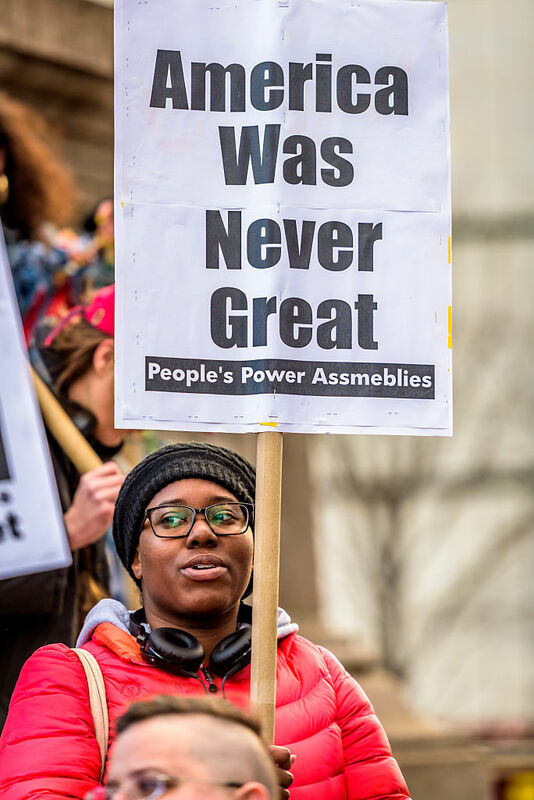 Never joined a protest or march before? That’s okay—there are resources for that. There are calendars that inform you of upcoming events in your city, like this one for N.Y.C. Check out ResistanceCalendar.org to see what’s happening around you. Lastly, don’t be afraid to use your voice or your keyboard. Meaningful writing does make a difference.